Welcome to Gatlinburg Tower Condos located in Gatlinburg, Tennessee. The condos are between two and three bedrooms and can sleep up to eight adult guests comfortably. 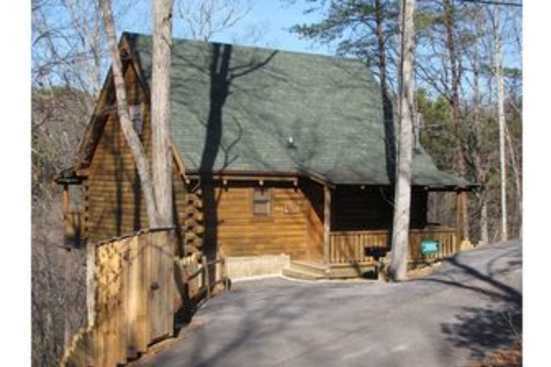 Gatlinburg Tower Condos are near downtown Gatlinburg and all the attractions it offers. Amenities include deck or balcony for viewing the forestry of the surrounding area, proximity to downtown Gatlinburg, cable tv with DVD player, and washer and dryer in the condo. When heading into downtown Gatlinburg the potential for fun and excitement for groups of all ages are boundless. Downtown Gatlinburg boasts many unique boutique style retail locations. These retail locations offer everything from hand-blown glass, handmade leather goods, and plenty of souvenirs to bring home to your family and friends. After a relaxing day of retail therapy consider taking in dinner and a show at one of the many theaters in downtown. If wilderness exploration is more your forte, head up the road to the world-renowned Smoky Mountain National Park. The park had multiple entrances and offers guided tours of specific locations in the park along with fishing and white-water rafting opportunities. SmokyMountainsByOwners.com is the most efficient and effective way to book your Eastern, Tennessee vacation. From traversing the mountain ranges at Smoky Mountain National Park to a relaxing day of retail therapy finished off with a dinner and a show experience, Downtown Gatlinburg, and the surrounding areas have fun for family and friends of all ages. SMBYO.com aims to take the hassle out of planning and booking your vacation, so all you must do is decide what to do first. Book today, the mountains are waiting!